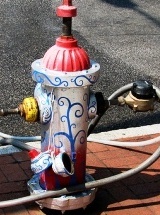 Hydrants that were painted span from RiverFront Park to 5th Street and from Pine Street to Chestnut Street in Harrisburg. 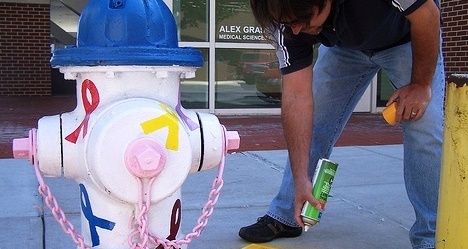 Artists of all ages were included in this project and dedicated many hours to their hydrant design and painting. 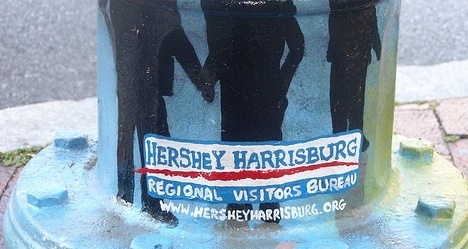 The purpose of this section is display the works of area artists who custom painted fire hydrants in the state of Pennsylvania. 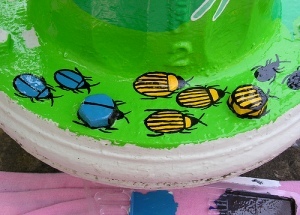 Click the small photos below to see a larger view. 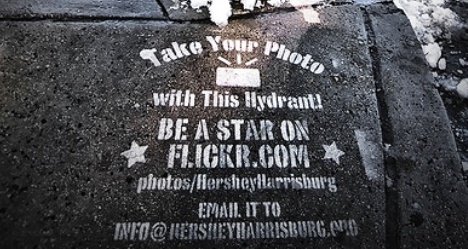 All photo credits are shown during mouseover. 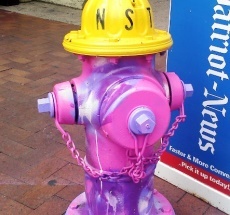 Take a stroll through Downtown Harrisburg - and you will see a vibrant display of creativity and artistic talent on 58 fire hydrants. 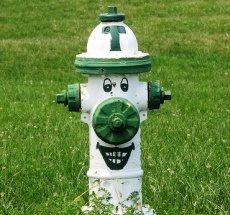 The Harrisburg Downtown Improvement District recently concluded their summer beautification program, Hydrant Hysteria. 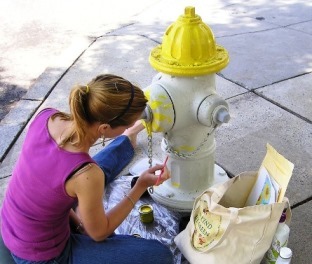 Hydrant Hysteria is an initiative focused on making downtown beautiful and inviting for visitors and residents, alike. 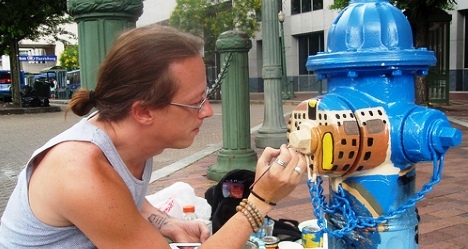 Over 100 hydrant designs were submitted and narrowed down to 58 selections that have been painted on each of the individual hydrants by local artists. 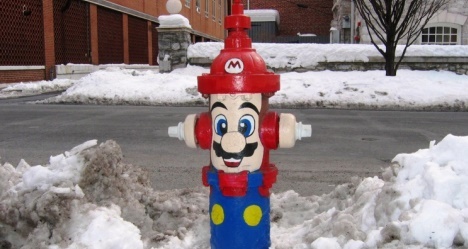 In effort to promote downtown and the Hydrant Hysteria Program, the Downtown Improvement District created a contest, offering the community the opportunity to vote on their favorite hydrant. 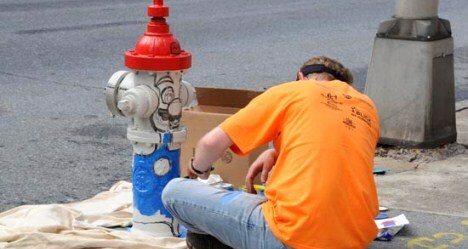 Voting has concluded and the winners of the 2009 Harrisburg Downtown Improvement District Hydrant Hysteria Program are: Professional Category- Samantha Gallagher with Pollinator Paradise, located at the corner of Front and Market Streets; Kate Withers with Got Milkweed, located at the corner of Front and Cranberry Streets; and Tracey McCall with Groovy Flower Plug, located in front of the Dauphin County Courthouse on Market Street. 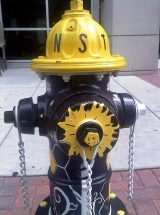 Community Category - Julie Waddington with Mosiac Sun, located in front of M&T Bank of Market Street; Donna Walter with Wallpaper located on the corner of 5th and Market Streets; and PHEAA with A Bright Future located on Walnut Street across from the Forum. 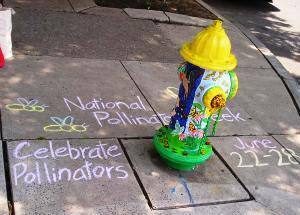 Student Category - Caiti Deane with Fireworks over the Capitol, located on Walnut Street in front of WHBG TV 20; Laura Bircher with Urban Growth, located on the corner of Walnut & Third Streets; and Hannah Waddington with Jazz Snoopy, located in front of Old City Hall Apartments on Walnut Street.